The market-leading board portal allowing unparalleled board management with simplicity and functionality to mitigate risk and enable effective governance. Conducting a board books review? See how Diligent’s intuitive functionality, industry-leading security, and customizable, collaborative features make it the choice of over 145,000 executive users worldwide. With Diligent you’ll have searchable libraries of investment reports, earning statements, easy-to-execute D&O questionnaires, streamlined and secure communications, to name just a few features. Diligent understands what boards need today to uphold their responsibilities with features built to accommodate you. Our platform has real-time updates with constant improvements that respond to the evolving complexities of governance, risk, and compliance. Dive deeper into Diligent’s solutions for public and private corporations, financial services, education, and healthcare. 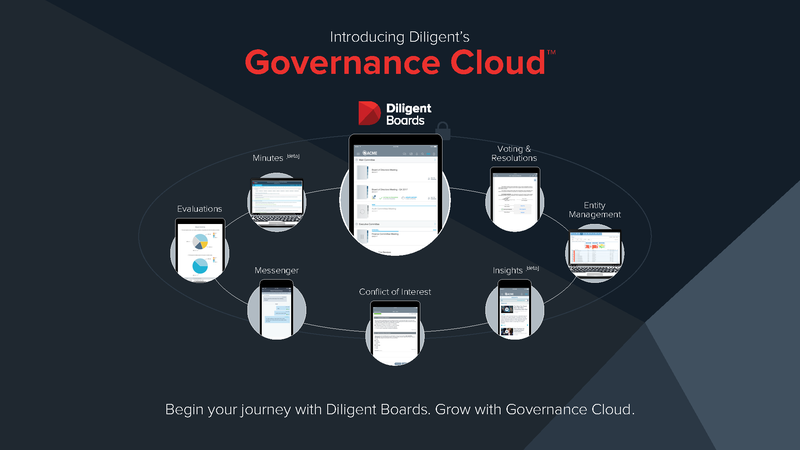 With single sign-on access, real-time updates and 24/7/365 mobile collaboration, Diligent board portal software gives directors the information they need, when they need it, for swifter, more informed decision-making. For administrators, intuitive tools and customizable archives mean more efficient, effective information delivery—supported by remote wiping if a device is lost or stolen. Discover how Diligent accommodates administrators, directors, executives, and general counsel. Learn more about Diligent’s security for boards and secure communications. Learn more about Diligent’s awards and commitment to customer service.